The professional proofreader reviews the document, searching for errors in spelling, word choice, grammar, punctuation, and English usage. The professional proofreader corrects all errors; he or she may revise word choices, thereby augmenting the clarity of the document. Professional proofreaders also examine the papers on which they work to make sure that the content is logically organized and presented. The proofreader may need to delete or move sentences and phrases. It may also be necessary to add transition sentences so that your thesis is clearly presented and backed up by the information in the document. The professional proofreader's goals are to eliminate errors, clarify writing, and ensure that the thesis of the document is clearly and interestingly presented so that it will be understood by all who read it. If the point of writing is to convey ideas and information, then the document itself must be clearly and correctly written. Professional proofreaders ensure that all documents on which they work are just that. The professional proofreader reviews the document, searching for errors in spelling, word choice, grammar, punctuation, and English usage. The professional proofreader corrects all errors; he or she may revise word choice, thereby augmenting the clarity of the document. Professional proofreaders also examine the papers on which they work to make sure that the content is logically organized and presented. The proofreader may need to delete or move sentences and phrases. It may also be necessary to add transition sentences so that the thesis of the paper is clearly presented and backed up by the information in the document. 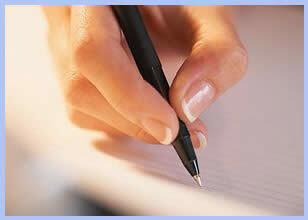 Premium Professional proofreading contributes a second proofreader's expertise to editing the document. With two professionals repeating steps 1 and 2, the document is returned in pristine condition. This process provides the document with two independent views and an extra set of eyes to confirm it is error free. The proofreaders write a practical analysis that refines the document's topic concentration. This one-page, in-depth assessment will not only clarify the document's focus, but it will also help develop the author's writing skills. Premium Professional proofreading includes free SMS notification and SaveConfirm as well as the ability to call the office and speak with one of your editors directly. Certain authors with a greater need for in-depth proofreading and critique use Proof Reading's Premium Professional proofreading. These authors require more than just tracked changes and comments from their proofreading. Premium Professional proofreading is excellent for professionals and businesspeople alike who have a need to clearly and concisely communicate their objectives to their target audience or consumers. ESL authors prefer Premium Professional proofreading because the extra scrutiny ensures their ideas are properly and effectively communicated throughout the document. Premium Professional proofreading is also perfect for the author who is in the beginning stages of creating his or her document. A higher level of proofing is performed when you choose Premium Professional, and there is more opportunity to fulfill your editing needs and achieve your writing goals.